Many people expressed their doubts when Frank Jesse and Jane Gibb started their yoga retreat in Dunkeld, at the base of the Grampian mountain range in western Victoria. Dunkeld is over three hours’ drive from Melbourne – too far the sceptics told the Jesse and Gibb for a retreat to succeed. 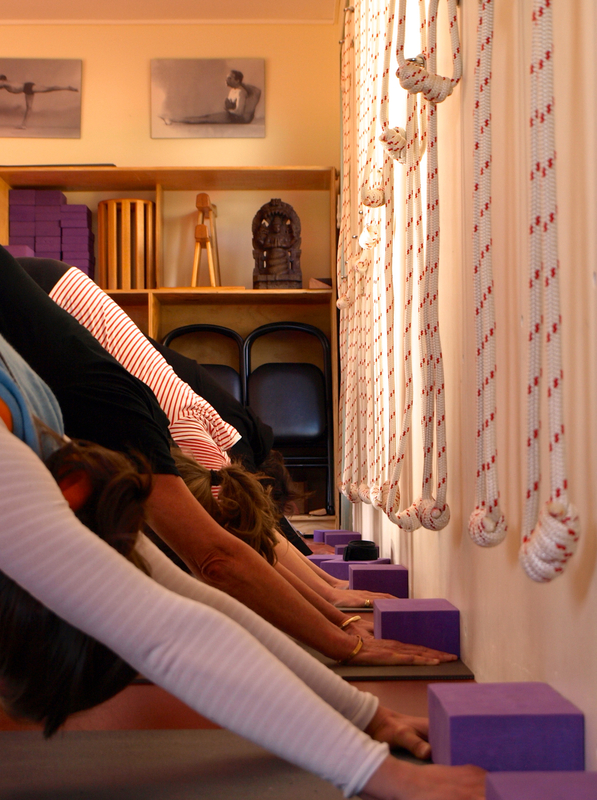 Five successful years later, Griffins Hill yoga retreat is flourishing. Business leaders and content marketers – those publishing e-newsletters and writing blogs, for example — could learn a lot from the patient, steady approach to business building that characterises Jesse and Gibb. Both have built successful businesses before. Gibb ran a plant nursery and landscape design business for 15 years in Richmond. When Gibb opened her shop, Richmond was a suburb fraught with problems. Desperados walked into the shop and walked out with the till until Gibb bolted it down to the counter and encased it in Perspex. Once, as she went to get in her car after a long hard day, she found a guy sitting in the driver’s seat trying to hot wire it. None of these hurdles were too great for Gibb, whose humour helped overcome the negatives and attract other intrepid entrepreneurs into her nook, a fortress of effort and creativity that balanced and protected against the intrusions of some troubled souls. Jesse, an Iyengar yoga teacher of 25 years’ experience, built a flourishing yoga studio in Clifton Hill, with Gibbs help. Jesse recalls starting early morning intensives between term breaks at the studio. Sceptics told him that no-one would want to do a class a 6.30am for five days of a working week. Initially, just a few people signed up, but that did not discourage Jesse. He delivered a terrific sequence of classes, and soon everyone was talking about them. Before long, early morning intensives were all the rage, and other studios picked up the idea. Jesse says he learned the art of patience in his late teens, when he and his family built a mud-brick house in the Yarra Valley. Three-stories high, the home took four years to make, brick by brick. The retreat was a sensitive balance of active yoga classes, restorative yoga and pranayama (breathing), and delicious vegetarian meals made primarily from organically-grown produce from the garden Gibb has created on their six-acre property. Jesse and Gibb run 25 retreats a year, and the business has grown by 15% every year since it started. Why it this relevant to content marketing? The pair’s determination and willingness to slowly build their reputation and brand, and to form warm, respectful relationships with their guests are precisely the same principles underpinning content marketing. Content marketing is slow marketing. It is not a quick fix. Content marketing is generous, offering value and not expecting an instant payback. Each week or day, you write stories about what matters to you, and offer your knowledge and expertise to your readers. Over time, they come to enjoy your passion, and trust your honesty and authenticity. That is the basis of your business relationships – respect – and it is why I think content marketing is a powerful force for positive change in business. A visit to Griffins Hill will restore your sense of balance and health. For those of us who are commercially focused, there is an added benefit – the chance to see how to build a successful business based on respect, warmth and exchange.